57 Top Bollywood Songs That Are All You Need On Your Playlist Right Now! Our playlist is incomplete without Bollywood songs, isn’t it? Our collection needs AR Rahman, Arijit Singh, Neha Kakkar and Sunidhi Chauhan. With so many movies releasing every year, it’s easy to update the library with new numbers - although these days we are offered more rehash and remixes than originals. Yet, there are some songs that became our wedding and party essentials, some cheered up when we were low and some beautiful romantic numbers that we dedicated to our partners. In case you’re looking for latest Bollywood songs to update your playlist, we’ve got you covered. Read on! From Sonam Kapoor and Anil Kapoor starer, Gud Naal Ishq Mitha is a cute revamp of the iconic song by Bally Sagoo and Malkit Singh. The original had a young Malaika Arora Khan finding love at her best friend's wedding. And without giving away any spoilers, all I can say is Sonam finds love during this song too! Gully Boy, starring Ranveer Singh and Alia Bhatt is yet to hit the big screen but has already created quite a buzz around its storyline. The film is based on the life of an upcoming rapper and his success story. It is inspired by the lives of rappers Divine and Naezy of Meri Gully Mein fame. Based on true events of the surgical strike, URI didn't have a lot of songs but the background tracks that played through the movie definitely caught our attention. Jagga Jiteya is one of the songs that were replaying in my head long after the movie was over. A remake of a recent Punjabi song that was topping charts because of hilarious it was, Coca Cola Tu has gotten famous rather ironically. It has some nice beats, even if not the most creative lyrics. Though the movie starring Imran Hashmi was an absolute disaster at the box office, this song has been topping charts since the day it came out. If you haven't heard it yet, make sure to give it a listen. Oh god, one more remix! Yes, but this one isn't that terrible. This hindi top song from Total Dhamaal has Sonakshi Sinha showing off her new curves in a gorgeous outfit and lipsyncing to a song that was a hit through my childhood. Remember the song Khoon Choos Le from Go Goa Gone? That was Arjun's first commercial success! Since then he has been putting out independent songs as well as regularly singing in Bollywood movies. His debut song was Baaki Batein Peene Baad and since then, he hasn't looked back. While the movie is yet to release, this song by Atif Aslam has already made it to our playlist. It is a great romantic song to start the year with, especially with Atif Aslam's voice backing these soulful lyrics. The title track of this movie is a remake of an older version from 1942: A Love Story starring Anil Kapoor and Manisha Koirala. While the first was a more romantic take on the lyrics, this version is quite good too and goes wonderfully well with the theme of the movie. The most uplifting song I've heard in a long time, Challa really gets you going if you're having a bad day. 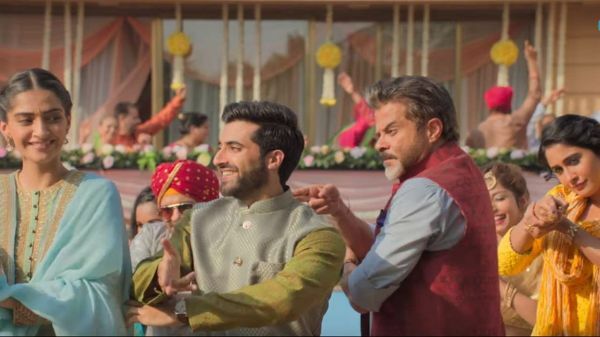 Also, Vicky Kaushal looks absolutely gorgeous in this song, so why not give it another listen? This song came as quite a surprise since it didn't quite fit into the vibe of the movie. But I'm not complaining, because this song will get your foot tapping in a second. It is fun and flirty and we love everything about it. Do me a favour and don't watch the video. The song is great, it's romantic and sweet, catchy too. Which is why it has been on every chart since it released almost a month ago. Can the combination of Amit Trivedi and Arijit Singh ever go wrong? Aaj Se Teri is a beautiful romantic song that depicts the love Akshay Kumar feels for his wife Radhika Apte in Padman. The song has catchy lyrics that will leave you humming. Alleged lovebirds Tiger Shroff and Disha Patani make an adorable couple. The song O Saathi from Baaghi 2 takes you through the college days of the two characters in the film. You can dedicate this number to your college sweetheart. Janhvi Kapoor and Ishaan Khatter made their Bollywood debut in 2018 and their chemistry was loved by critics and audiences both. The title track of Dhadak is a slow, but a powerful melody that would want to make you sing it for your partner. 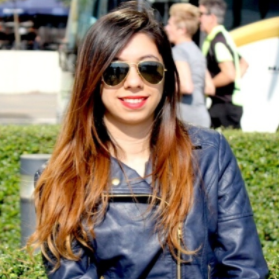 Andhadhun was arguably one of the best films of 2018. It had a gripping storyline and some really good songs. Naina Ka Kya Kasoor was one such soothing love song that captures the budding relationship between Ayushmann Khurrana and Radhika Apte. The song is peppy and one of the most melodious love songs of the year. Kudos to Amit Trivedi! Composed by Tanishk Bagchi and sung by Rahat Fateh Ali Khan, Sanu Ek Pal Chain is a reprised version of Nusrat Fateh Ali Khan's masterpiece. This will get you in the mood to spice things up with your partner as you sing along. 2018 was a year of star kids making their debut in Bollywood and giving stunning performances. Sara Ali Khan made her debut opposite Sushant Singh Rajput in Kedarnath and their chemistry was a hit. Sweetheart is a song where Sushant announces to his friends and family that he’s in love with Sarah. Sung by the mellifluous Papon and Ronkini Gupta, Chaav Laaga has endearing lyrics, and Anushka and Varun bring an extraordinary love story on screen. Their innocence is the most convincing thing about the melodious song. The song is an ode to finding the meaning of love and understanding your partner and helping them achieve their dreams. Manmarziyaan’s F for Fyaar is an unconventional love song that beautifully documents the magic and perils of love. This track will make you smile and cry at the same time. Its funk will make you want to listen to it on repeat. The vintage style song, Main Badhiya Tu Bhi Badhiya is a true-blue desi song with all the prerequisites of being a Bollywood hit. It has an upbeat rhythm, a unique setting and a quirky concept. Mera Naam Tu released about two weeks ago but has already become a massive hit. It can definitely be called the ultimate romantic ballad of the year. It is a quintessential love track that you can expect only in an SRK movie. Let the King of Romance take you on a love ride with this track. Lae Dooba from Aiyaary will stay with you for the longest time. It captures the innocent love story between Sidharth Malhotra and Rakul Preet's characters. Sunidhi Chauhan has lent her voice to this melodious number. Ayushmann Khurrana proved his mettle with Vicky Donor and his career graph has gone up ever since. He has a beautiful voice and he makes us sing his tunes in Aap Se Milkar. It's a warm and lovely song that you must sing for your partner at date night. Binte Dil from Padmaavat is a unique love number that will get stuck in your head. The song depicts Malik Kafur's (Jim Sarbh) obsession with Alauddin Khilji (Ranveer Singh). The credit for this extremely different track goes to none other than the director Sanjay Leela Bhansali himself. Pehli Baar, as the name suggests, translates the beauty of first love. Ishaan Khatter runs around town to get a glimpse of Janhvi Kapoor in the song. It’s the Pehla Nasha of 2018! Saansein would make the perfect road trip song despite being a romantic number because it's a far cry from the conventional love songs. Irrfan, Dulquer Salmaan and Mithila Palkar’s road from Ooty to Kochi will give you travel goals. You must add this to your list and play it on loop. Sung by Atif Aslam, Dekhte Dekhte is a re-creation of a classic by Nusrat Fateh Ali Khan. The song captures the pain of two estranged lovers. This song became a massive hit among the youth who loved the lyrics. Dilbaro strikes a chord, a vidaai staged for the sacrifices Alia Bhatt's character is all set to make for her country. The song's video leaves you with a heavy heart and beautiful father-daughter moments. A friend in need is a friend indeed. Tera Yaar Hoon Main is a sad song, not for lovers but for best friends. Composed by the music maestro Amit Trivedi, Daryaa is a soulful track sung by Ammy Virk. Even if you don’t understand the Punjabi lyrics, you will relate to the song and it’ll make a space for itself in your phone. 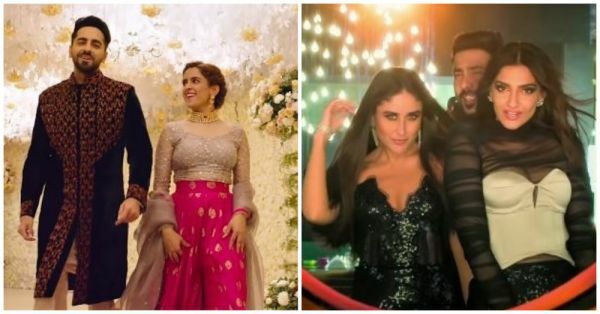 Veere Di Wedding caused a lot of buzz because it was a women-centric film and marked Kareena's return to the movies post giving birth to Taimur. Aa Jaao Na is one song that will hit you right in the feels if you've ever fought with your girlfriends and longed for their love instantly. An emotional number from Fanney Khan sung by Monali Thakur, Tere Jaisa Tu summarises the journey of Fanney Khan, played by Anil Kapoor who wants to fulfil his daughter’s dream of becoming a singer. This song will tug at your heartstrings. Katrina Kaif is known to set the temperatures soaring high every time she appears on the screen. She has done it again in Husn Parcham from Zero starring SRK and Anushka Sharma. Her moves will make you want to one, learn them, two, dance to the same beats. You can feel the adrenaline rush in your body every time Khalibali plays in a club or on the radio. The song has a different energy and beats. This song pulls you to the dance floor at every party. And don't forget its hook step! Composed and sung by Rap Rockstar Raftaar, Andhadhun will make you want to shake a leg. With a quirky video and upbeat music, the title track of the film excites you and intrigues you at the same time. Get your imaginary dandiyas out and groove to this ultimate festive party song from Aayush Sharma’s debut film Love Yatri. A re-envisioning version of Hans Raj Hans' classic dance number Tote Tote Ho Gaya, Chhote Chhote Peg is sung by Neha Kakkar and Navraj Hans. Be it at clubs or at weddings, this track will always get you grooving. A critical and commercial failure, Thugs Of Hindostan only gave us one reason to smile, Katrina’s breathtaking performance in the peppy song, Suraiyya. The song has some eerie lyrics but is sure to make you hit the dance floor. Sung by Neha Kakkar, Romy and Shashwat Sachdev, Bhangra Ta Sajda is a perfect bhangra number. This has been a hit at all the weddings, too! Unfortunately the worst in the Race franchise, Race 3 couldn’t be saved by Salman Khan either. But it gave us the third Heeriye and we’re not complaining. The song has techno and electro beats and Jacqueline Fernandez’s scintillating moves are to watch out for. Sung by Zack Knight and Jasmin Walia, Bom Diggy Diggy became the house party anthem this year. 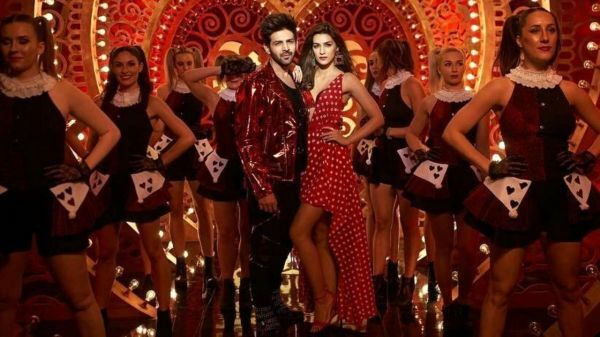 The song happens to be from an album, but was lent to the makers of Sonu Ke Titu Ki Sweety and then it gained even more popularity. There's no way you wouldn't twerk to this track. Morni Banke from Badhaai Ho is the unparalleled party anthem of the year. The beats and vibe of the song will pull you to the dance floor even if you're a non-dancer. A remake of one of the most popular 90's song, Aankh Maare fro Ranveer Singh and Sara Ali Khan's Simmba is a killer song. It is topping all chartbuster lists already. The video, of course, is a winner. This song will be one of the most played at clubs in no time. Kaun Nachdi gave us major beach party goals. The song has a cool ring to it and well Pihu's (Ishita Raj Sharma) touching the feet acting wearing a red bikini will always be the highlight of this peppy number. Zingaat was one of the most popular dance numbers from the Marathi film, Sairat. The Bollywood version also managed to make us go crazy over this upbeat number. Also, Ishaan's tremendous energy pumps you up while watching the song. Proper Patola was a rage when it first came out. And well, Bollywood just couldn't stop but remixing it and making it a part of Namastey England. While we miss Diljit's part that has been completely removed, the song still is one hell of a dance number. Yo Yo Honey Singh made his comeback with this cool party song in Sonu Ke Titu Ki Sweety. Kartik Aaryan, Nusrat Barucha and Sunny Singh danced to the beats like there's no tomorrow. It is a Hindi-Bhangra fusion that will make you want to add it to your playlist. One of the most groovy songs from Veere Di Wedding, Tareefan was an instant hit. Badshah's rap, Kareena and Sonam's moves and the groovy music made it on top of all lists this year. Thirty years after the iconic Madhuri song was released, Ek Do Teen was remixed and given a new twist. Jacqueline Fernandez shakes a leg in similar attire and looks like a goddess. Nora Fatehi has proved her dancing prowess with this remake of the original one starring Sushmita Sen. She looks beautiful in Dilbar and well, the moves are sure you get you awestruck! The song will get stuck in your head and you'd want the DJ to play this on a loop at a club. A song about magnificence that has traditional Rajasthani beats, Ghoomar will get you into the festive mood. Deepika Padukone looks inexplicably beautiful and well the hook step is addictive. This song got more views on YouTube than the number of people who went to watch this illogical and random movie. You probably already have this in your favourites. Recreation of Guru Randhawa's chartbuster, Patola is a wedding essential. In the song, Kirti is seen dancing while the groom Irrfan is shown hesitantly watching his newly-married wife. It is one of the best party songs of 2018. A peppy Punjabi number, DhayaanChand has a quirky and fun vibe to it. It composed by the master of best-selling music Amit Trivedi. 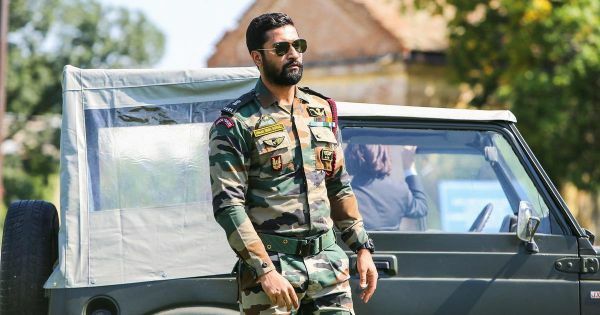 Vicky Kaushal's performance in the song will make you fall in love with both him and the song. Swag Se Swagat became a rage when it came out. Everyone was doing its hook step. Salman and Katrina can be seen dancing to this track in Greek locales. The song has been composed by Vishal-Shekhar, penned by Irshad Kamil and sung by Vishal Dadlani and Neha Bhasin. Its mid-tempo rhythm will stay with you for long enough. 2018 was a Neha Kakkar year! She came us the bubbliest and peppiest of songs that we just can't stop dancing to. You'll start humming the lyrics instantly after listening to the song. It is a groovy party number. Hope you have got your favourites from our amazing list of bollywood songs.